A Registered Retirement Saving Plan (RRSP), is a program offered by the government of Canada where individuals can invest money during their working years. The primary benefit is that income invested is pre-tax and the income tax is due only upon withdrawal i.e. during retirement. 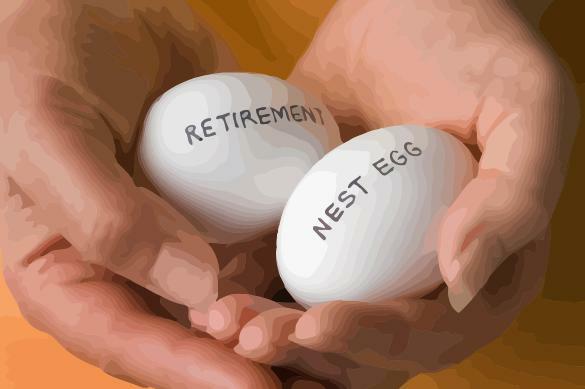 For those familiar with US retirement programs, an RRSP is similar to an IRA. For example, if you earned $60,000 this year, and you put $10,000 in RRSPs, instead of paying income tax on the entire $60,000 you will only pay income tax on $50,000. This can be a huge savings. Now, keep in mind that you will have to pay tax when you take your RRSPs out when you retire, but you can take it out in smaller amounts, and when you are making less money per year. For example, when you retire you probably will not be earning $60,000 per year, so you will be at a lower tax bracket. So the tax you pay in retirement will be less that the tax you pay when you are making your maximum wages. RRSP accounts can be set up through your bank or through a financial investor who usually works for a larger company such as Edward Jones. Investments within an RRSP can include simple saving accounts, bonds, mutual funds, and stocks. There are some restrictions as to the foreign content of what is held in your RRSP i.e. at the time of writing, 80% of an RRSP has to be in Canadian-based companies. The amount you can invest in an RRSP per year will depend on your earnings from the year before. When you get your assessment for the past year there should be a line indicating how much you can invest this year. The maximum is 18% of earned income. If, in previous years, you did not use all that you were permitted you can add it to the 18%. This will be shown in your income tax assessment. Be careful that you don't go over your RRSP limit because there are tax penalties for doing so. I recommend that you invest as early as possible, even in your twenties, and as regularly as possible, such as with every pay check, to obtain the maximum investment benefits. In addition, invest early in the year. For example, if you invest in January of 2007 instead of December 2007 you will earn interest on 12 more months. Sometimes employers offer RRSP incentive plans. For example, they may match your RRSP contributions, or a portion thereof. As will all things, be sure to read the fine print as there may be a period of time where the matched contributions are locked e.g. until you reach 65. This is not necessarily a problem, but just something you need to be aware of. At the end of a taxation year some people choose to borrow money to invest in an RRSP. If you don't have any money saved up but predict that you will be able to pay back a loan within a few months, borrowing to invest may work out to your benefit because the income tax savings will outweigh the loan costs. Many Canadian banks offer online calculators for determining if an RRSP loan makes sense. Download the FREE Excel list with details about 1700+ ETFs today!